All wishes come true… but only when you know how to make them. I did not appear for a while. I am sorry. I was all in specialised literature reading. Have you ever heard about John Kehoe? The man who combined physics and psychology, who worked hard on human conscious, its mysteries and tried to find the answers. For three years he had studied and experimented Freud’s, Jung’s, Einstein’s technics. John Kehoe is a writer and a teacher who now spends lots of time with his growing internet community (and he is 84). Well, that’s enough about this great person. I will only mention that in his book Mind Power into 21st century (inbox us to receive a free pdf version) John proves that we can achieve anything we want because of our conscious, we just need to learn how to work with. Let’s move on to the topic of today. In fact, everyone is able to make a wish to come true if only the wish is genuine. 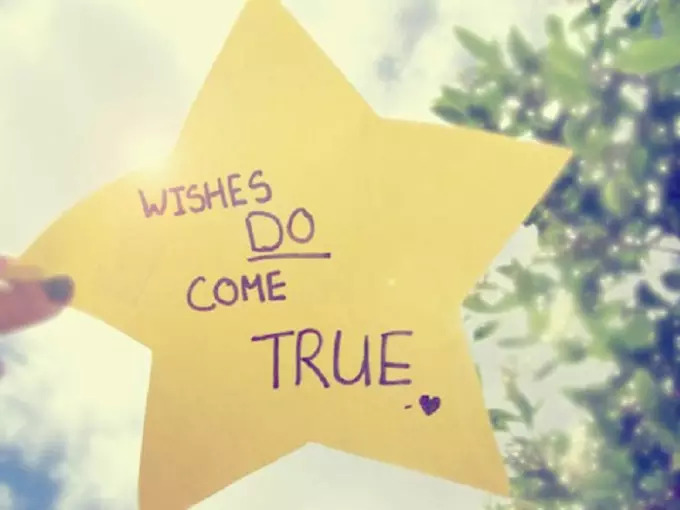 There are many theories and practices connected with wishes and their realisation. I am going to create a guide for you which should help you with your aspirations. Do not forget that these are only recommendations and everything is individual. I can tell for sure that the steps definitely work as I know lots of examples and moreover, I’ve tried them myself. It is your choice to believe or not to believe in mind power but even if you are not ready for this now and have some doubts, the day when you will understand and accept it will come. Work on your wish/wishes in some other approach. (you have to understand how your conscious works and what happens, you also have to be ready to accept different consequences and outcomes of your wish/wishes). It is also about meditation and visualisation. Leave your wish. Yes, after all the work you’ve done on your wish you have to leave it. You should next remember your wish that moment when it is coming true. That is it. Everything is quite simple and following these steps you do not only make your wish/wishes to come true but also change your perception and attitude to many things in your life. Bare with me and you’ll learn how to do every step properly and some advice to understand the process. I would actually recommend you to do this once or twice a year. I will give you lots of examples of people whose wishes have come true and about those whose wishes have come true but not in the way they wanted or expected to. If you are ready to challenge yourself and become a successful person who knows what he/she wants, let’s do this together. Feel free to contact me if any questions and stay positive. Next Все желания сбываются.., если знать, как их загадывать.